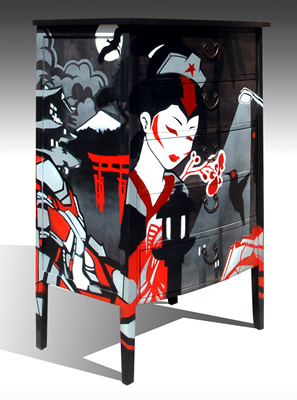 Plain blond wood dresser turned into a Japanese theme of time. Water semi gloss lacquer top, deep black eco-friendly stain and water enamel face and sides. Old recycled Japanese coin drawer pulls.